The battery on my daughters's first watch which I bought for her on Amazon, has run out. There was no point in changing the battery really. She was ready to move on from her first watch. 1. An analog and not a digital watch. 2. Clear legible numbers - no dots and not Roman numerals. 3. Not a baby watch with cartoons. ideally, I would love to give her a Baby G but decided to shop around. 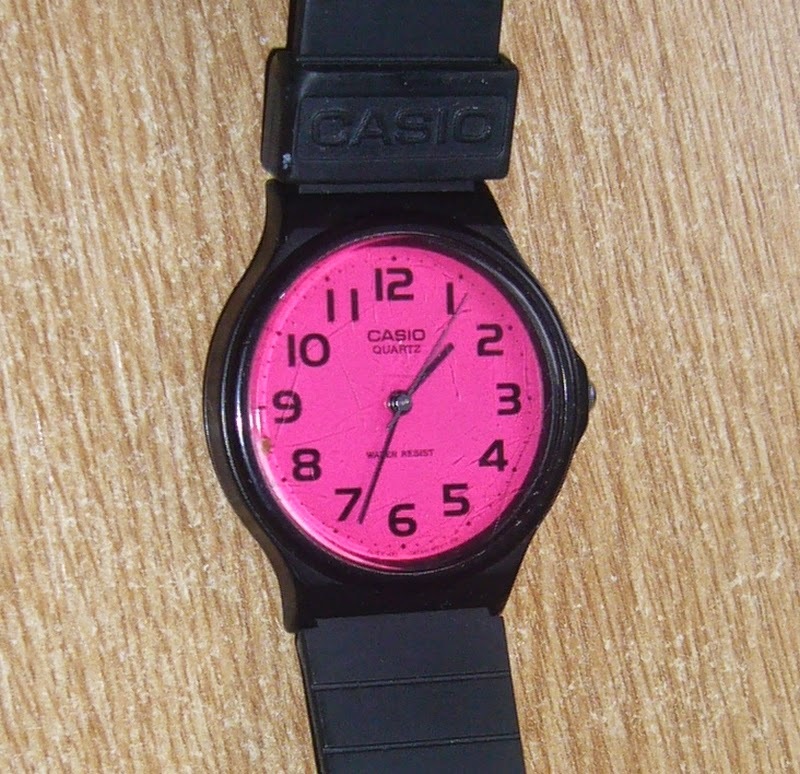 So after searching on my favourite site - eBay, I came across an "almost new" Casio watch that fits the bill perfectly - a Casio MQ24 1330 ladies watch with a pink dial. Though she says she does not like pink, she was delighted when she got the watch. That was almost one year ago and the battery ran out. Normally, we would chuck out the old watch and shop around for a new one but I have become more eco-friendly over the years and realise that changing the battery on watches is not such a big deal. However, opening up the back was more trickier than I thought. I found the solution after a quick search on the net. Bought 5 batteries - Sony Silver 364 (SR621SW), again from a dealer on eBay for just £2.99. 1. Remove the straps using the watch spring bar removers. 2. Just pop up the case from the side using the watch case opener. 3. 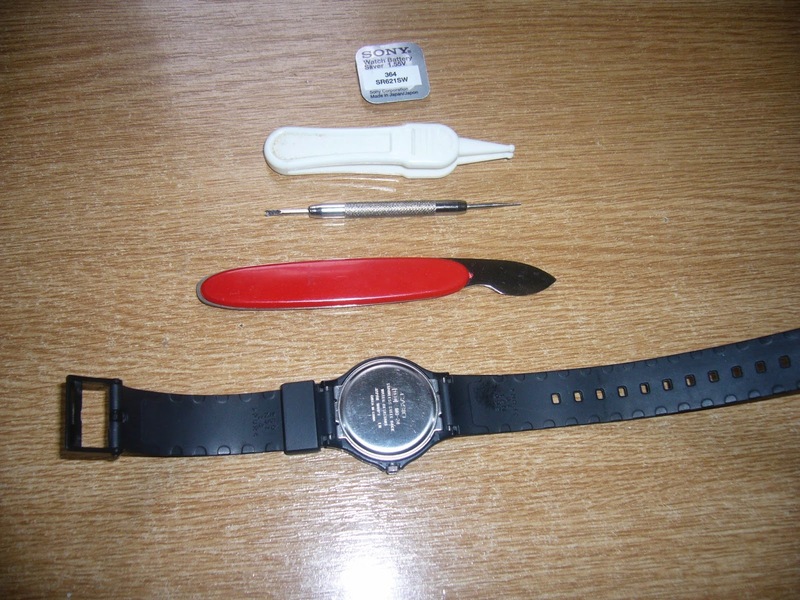 Remove battery using the plastic tweezer. This is such a great resource that you are providing and you give it away for free. I love seeing websites that understand the value of providing a quality information for seiko model. Thanks for sharing. 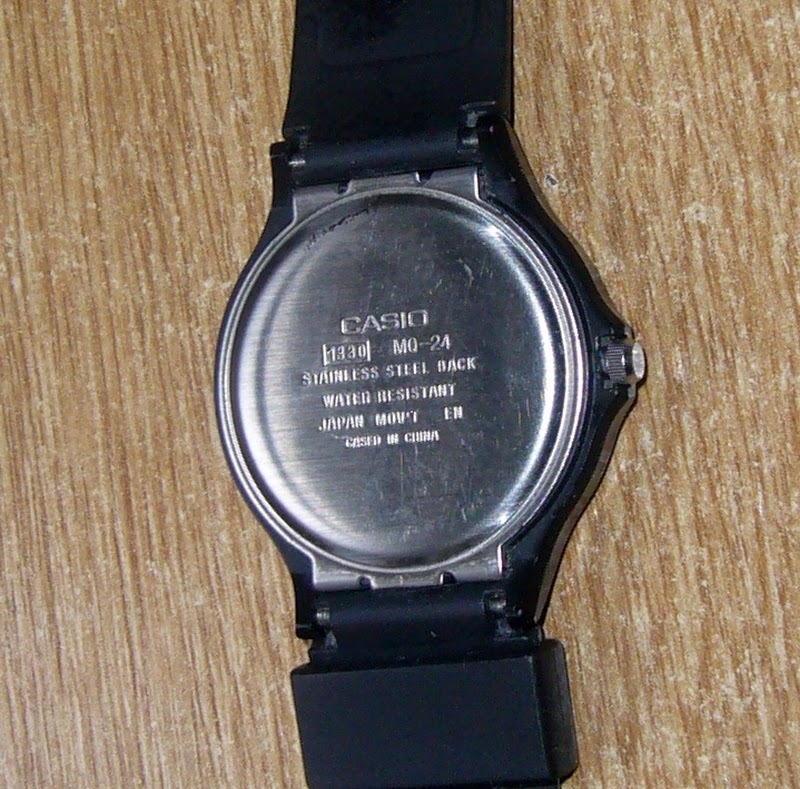 I was wondering if you knew how to remove the front plastic glass of the casio mq-24 watch? i would like to modify the face! I can't seem to figure how how to access it through the back the same way you replace the battery. Hi John, I have never tried it. However, I assumes that it should not be difficult once you remove the crown. Will let you know once I try it out.